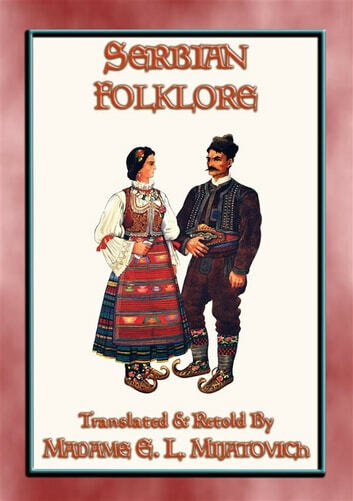 Herein are 26 folk and fairy tales from the Central European nation of Serbia. IT is only within the last few years that folklore and fairy tales have been dramatised and turned into film for television and the silver screen. Here the popular legends, tales, drolls, and extravagances, which have been handed down from generation to generation among the labourers, peasants and youth of a nation, are being given a new breath of life, and a lot of them originate from Central Europe. Settled during the 6th and 7th C following the Slavic migrations, the Kingdom of Serbia was formerly recognised by Rome and the Byzantine Empire in 1217AD. Its capital, Belgrade, ranks among the oldest and largest cities in southeastern Europe. Serbia was annexed by the Ottoman Empire and later the Habsburg Empire. Following WWI Serbia helped co-found Yugoslavia with other South Slavic peoples, which existed in various political formations until the Yugoslav Wars of the 1990s. Under the yolk of communism from the late 1940’s to 1989, many traditional and religious beliefs were suppressed in favour of the communist mantra – but here 26 have been uncovered for you and your children to enjoy. 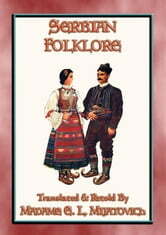 Over the centuries, it is clear that Serbian folklore has had a number of influences which are now indelibly woven into the fabric of the nation and there is no better place to taste the flavours of this rich mix than in the folklore of Serbia. 10% of the net from the sale of this book will be donated to Charities.